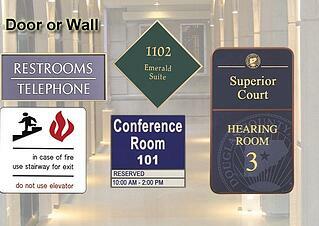 Laser engraved wall signs bring class and sophistication to your office. These kinds of custom markers are growing in popularity among all kinds of businesses and other organizations, including hotels, schools, property management companies, hospitals, government buildings, and more. And, thanks to our recent purchase of a state of the art laser engraver, The Sign Studio can provide your enterprise with laser engraved wall signs for Los Angeles. Once we install a frame system near the entrance to your building as well as by the elevators on each floor, you can easily update the directories with laser engraved inserts featuring the names of different departments, businesses, and professionals. This saves on the cost of buying a whole new sign, and we can usually have a new, affordable insert ready for you within hours. Identify the offices of your top executives with laser engraved nameplates. These nameplates can easily be inserted into or removed from fancy, metallic frames when a new person takes over the position. You can also identify different meeting and conference rooms within your facility. Braille can also be added to make these signs ADA compliant. Whether you want to show guests where the restrooms are or you need to direct the way to the nearest emergency exit, laser engraved wall signs are the right solution for your venue. Our engraver can replicate a wide range of fonts so you can keep your branding consistent with your signage. Are there certain donors, sponsors, founders, or other people who have played a significant role in making your organization what it is today? Commemorate these contributors with engraved wall plaques displayed in a prominent area in your facility. Our clients choose to go with engraved signs because they are rigid, lightweight, and flexible. They are available in many different thicknesses. And, we can install them for you quickly and with little disruption to your workplace. We Can Have Laser Engraved Signs for You in No Time! Are you working with a tight timeline? No problem! Our new laser engraver allows us to have fast turnarounds. Once you approve of the final design, we can have your marker ready for you in as little as one or two business days. Some engraved signs are easy for anyone to install. However, we are happy to install the more difficult markers to make sure they are properly aligned to look their best. If you are interested in learning about how to put custom laser engraved wall signs for Los Angeles to work for your enterprise, contact the friendly professionals at The Sign Studio today for a free, no-strings-attached consultation and quote. If you read our blog regularly, you know that we have fallen head over heels in love with our new laser engraving abilities. We have new equipment that allows us to serve you better, faster, and more affordably. One of our special offerings is custom desk and table top laser engraved signs for Los Angeles. In today’s blog entry, we are going to look at how businesses in just about any industry can use these markers. Reception Areas – Between taking calls, scheduling appointments, handling mail, and so on, your receptionist is busy enough as it is without answering the same questions over and over again. 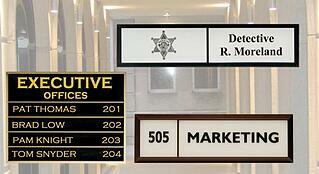 With custom reception desk signs, you can post the information guests and clients are looking for. Desks – If you have a sizable staff, how do employees and customers know how to find different workers within your facility? A good way to solve this problem is with custom desktop name plates with employees’ names and job titles. Table Markers at Events – Whether you are hosting a wedding celebration or a business conference, table markers are a must. If it is an annual event or a trade show, you can use these custom markers to boost your branding. Restaurants – Diners and cafes are perhaps the biggest customers for table top laser engraved signs. They use them to mark reserved sections, display deals and special offers, and to show servers which orders customers have. They can also be used to denote dishes on a buffet. 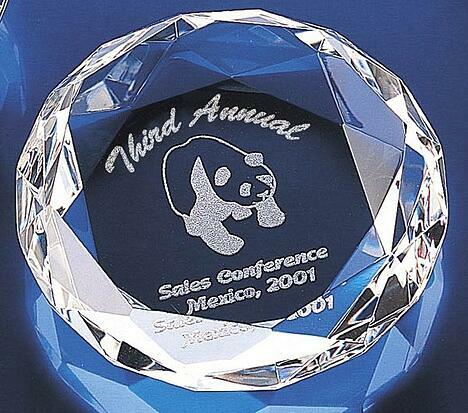 Awards – Our laser engraver allows us to do some really creative things, including creating awards that recipients will be proud to display on their desk. This not only shows appreciation, but it also provides another opportunity for your organization to have your branding out there. These are just some of the options we have available. We are excited to see what kinds of custom jobs clients come to us for. We know that the sky is the limit. Some sign shops approach all of their projects the same way. That is not how The Sign Studio works. We meet with you and listen to what you are hoping to achieve with your signage before we come up with solutions that are specifically tailored to your venue, budget, and goals. Once you approve of our mock-ups, we fabricate your signage and perform any installation work that is necessary. Though we love our new laser engraving capabilities, we are not going to push it on our customers unless it is appropriate. For instance, if you come to us with a need for vehicle graphics, we certainly are not going to talk you into a table top engraved sign instead. If you are wondering if custom desk and table top laser engraved signs for Los Angeles are right for your organization, contact our friendly professionals today for a free consultation and quote. There have been a lot of exciting changes happening at The Sign Studio recently. Chief among them is our purchases of new equipment. In the previous two blogs, we discussed our new laser engraver and the plaques and awards we can create with it. Today, we are going to look at our new sign router, the Vision Series 4 Controller, and how it is perfect for creating routed signs for Los Angeles. What Is a Sign Router? A router is a tool that is used to hollow out an area in a piece of metal, plastic, or wood. It is most often used for decorative moldings, sign making, and cabinetry, and it can be used to cut fancy patterns, grooves, and edges. A router consists of an electric motor-driven spindle. The router can be used for an array of projects when a router bit is used. Many consider the router to be one of the most versatile tools available. Now that we have defined what a router is, we should probably let you know that the Vision Series 4 Controller is not exactly a router, but it is essentially the same thing. It is known as a rotary engraver. Like a router, it utilizes a rotating cutter or tool in a motorized spindle. And, it is used to produce cuts of specified depths and widths in a broad range of materials. What Is Vision Engraving & Routing Systems? 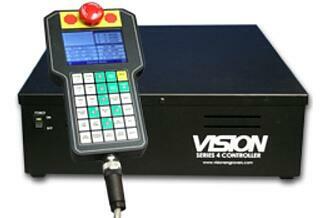 The Vision Series 4 Controller comes from Vision Engraving & Routing Systems. They have been manufacturing computerized marking systems and accessories for over three decades. They have a reputation for producing top-quality, long-lasting CNC routers and engravers. 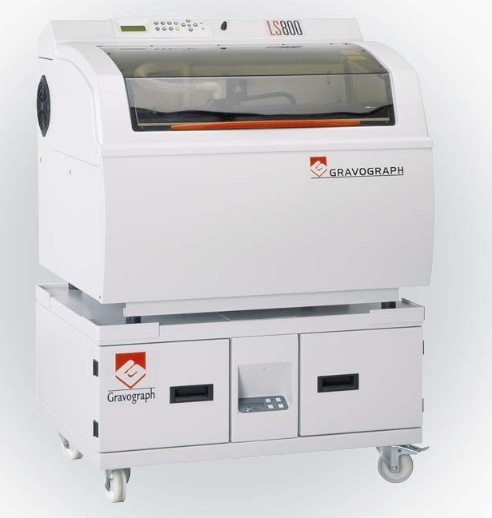 An experienced team manufactures these machines in Phoenix, Arizona. 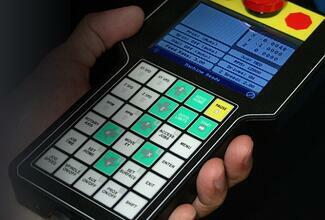 The new Vision Series 4 Controllers allows us to use next-generation technology to more precisely route your signs. With this device, we can engrave up to ten inches per second. This makes it so we can produce your custom shaped signs on a tighter timeline. It also comes with a wide selection of software programs that help our technicians to perfectly map out what your new sign will look like. Are you unsure about whether this new tool will be right for your project? No problem! Determining what equipment is right for your project is our job. When you contact The Sign Studio, we listen closely to your signage needs. We then make recommendations based on your budget, vision, and venue. Once you approve of the proofs that we supply you with, we get down to work. Our new equipment will allow us to give you more affordable options and to offer faster turnaround times. If you need sign routing in Los Angeles, contact our friendly professionals today for a free quote.